Apple has bounced back in China after six consecutive quarters of declining sales, thanks to the promising sales of the iPhone 8 and iPhone 8 Plus. 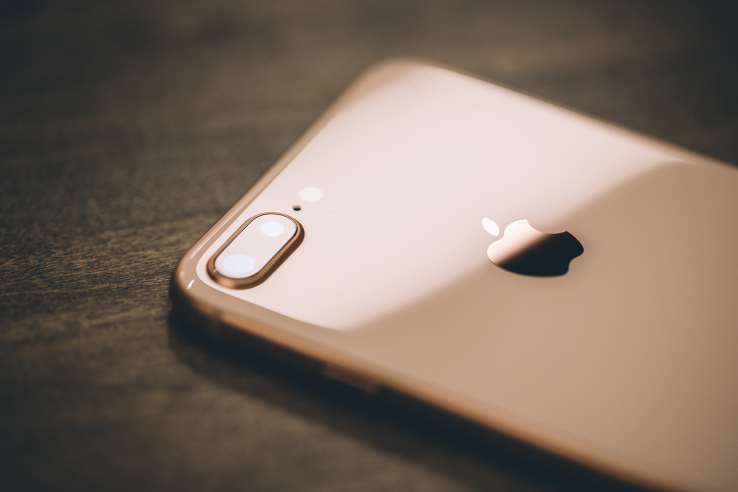 According to a new report from Canalys, sales of iPhones rebounded this quarter, growing 40 percent to 11 million from 8 million for the same period a year ago. The research firm noted that Apple had posted year-over-year declines in iPhone sales for the Chinese market over the previous six quarters. 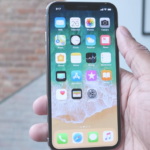 While several North American carriers have reported slower sales of the iPhone 8 compared with previous models, Canalys says in China iPhone 8 sales have been higher than the corresponding iPhone 7 figures at launch. Although Apple’s position has improved significantly in China with the incoming of the iPhone 8, but that growth may be short lived. The company is unlikely to maintain the growth in Q4, warns Canalys. “Apple’s growth this quarter is only temporary. The high sell-in caters to the pent-up demand of iPhone upgraders in the absence of the iPhone X. Price cuts on earlier models after announcing the iPhone 8 have also helped. However, Apple is unlikely to sustain this growth in Q4,” Canalys research analyst Mo Jia said in a statement. 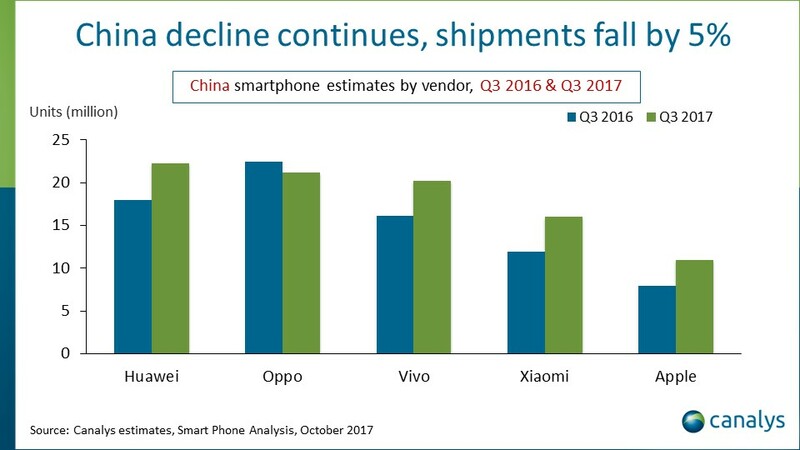 Overall smartphone shipments in China fell by five percent year over year to 119 million units, according to Canalys. The largest vendor in China is Huawei, which shipped 23 million units, followed by Oppo, Vivo, Xiaomi, and Apple. China is an exceedingly important market for Apple that generates the company billions in revenue each quarter. However, Apple’s China sales across all products, including the iPhone, have dropped precipitously over the last couple of years.